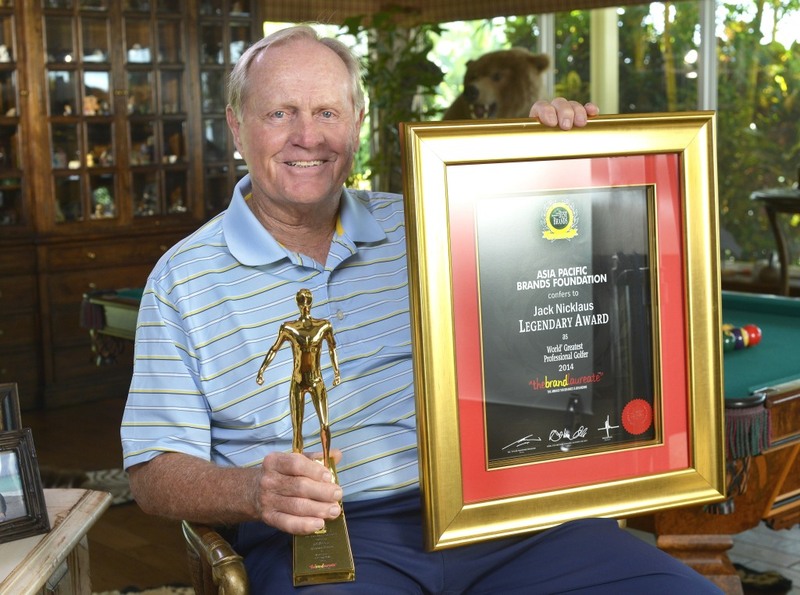 The Asia Pacific Brands Foundation has honored Jack Nicklaus with the 2014 BrandLaureate Legendary Award. Created to recognize outstanding individuals who have set a benchmark of excellence in their respective industries, the BrandLaureate Legendary Award is presented annually to a person who has contributed significantly to the world and society at large through their varied field of expertise. The award, which will be a highlight of an Oct. 31 dinner in Malaysia, comes from the world’s only nonprofit branding foundation. Nicklaus is founder and co-chairman of the Nicklaus Companies, and was one of the first figures in sports to successfully translate his reputation and athleticism into a burgeoning business. For nearly 50 years, the mission of the Nicklaus Companies has been to enhance the golf experience, and to bring to the national and international consumer, golf-related businesses and services that mirror the high standards established in the career and life of Jack Nicklaus. The Golden Bear participated in his first golf course design in 1969, and Nicklaus Design has grown to encompass more than 380 golf courses located in 38 countries and 39 U.S. states. In addition to establishing the world’s leading golf course design firm, Nicklaus founded the Nicklaus Companies, which offers various products and services including development of golf and real estate communities, and the marketing and licensing of golf products and services. The Jack Nicklaus and Golden Bear-branded lifestyle collection of products includes golf academies; restaurants; beverages; wine; home appliances; flooring; cabinets; apparel; footwear; golf equipment; and the new Nicklaus Golf Balls. By accepting the 2014 BrandLaureate Legendary Award, Nicklaus joins the company of such esteemed past recipients as Nelson Mandela, Hillary Clinton, Steve Jobs, Mark Zuckerberg, Earth Wind and Fire, Taylor Swift, and others. Read more about the latest honor conferred to the Golden Bear at thebrandlaureate.com.